Welcome to another edition of Let’s Talk Sport’s ‘Flashback Friday’. This weekend is the 78th edition of the US Masters golf at the famous and beautiful Augusta golf course. Last year Australia’s Adam Scott won the green jacket against Angel Cabrera in a dramatic finish winning his first ever major. A year on, the question ahead of this year’s Masters is can Scott be the 4th golfer in history to win the jacket back to back. So as always on ‘Flashback Friday’, we look back at one of the biggest sporting events and moments in history. 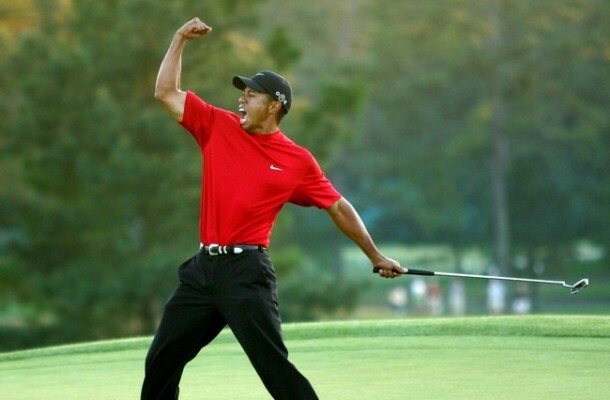 With the Masters taking place over the weekend, we have a look back at probably the best shot ever performed at Augusta and by Tiger Woods. The American golfer went onto the win in 2005 after one of the best performances of his career. This shot is incredible, enjoy.